Joshua Gopaul, a little-known chess player and student of St Stanislaus College, emerged winner of the National Junior Qualifier Tournament last Sunday at the National Aquatic Centre. Gopaul played unbeaten in the qualifier, conceding a rare draw for his victory. 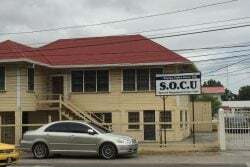 He and seven other participants will face-off for the title of national junior champion of Guyana later in the year. Twenty-four students, the majority from Marian Academy, competed in the qualifier. Gopaul’s victory, I suspect, was influenced by the internet, and, perhaps, by the modern Fritz chess programmes. We shall know when we witness the quality of his games. 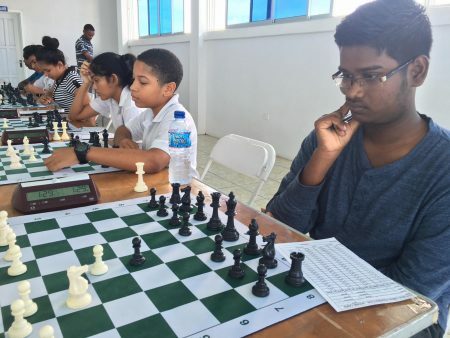 Guyana’s theoretical chess is comparable with the remainder of the Caribbean, because we are computer literate, and studiously inclined. 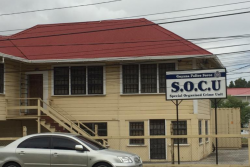 Succinctly, our schools are respected. 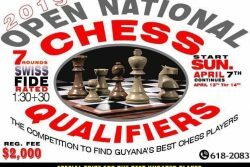 Disappointingly, chess is not a popular and fulfilling Caribbean pastime, like, say, similar to the ball games, boxing, dominoes and athletics. The spectrum of inattention is wide. But although the game’s popularity is limited, millions play, some professionally, and some for fun. Those who become grandmasters are contented with the game’s wide appeal and its rich rewards. Joshua Gopaul, a student of St Stanislaus College, who won the National Junior Chess Qualifier Tourna-ment last Sunday at the National Aquatic Centre, Liliendaal. The tournament qualified eight junior players for the National Chess Championship scheduled for later in 2018. An identical process, to conduct a preliminary contest for identifying eight senior players, began yesterday and continues today at the Aquatic Centre. 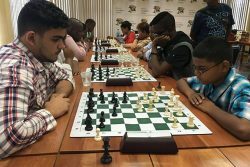 The Guyana Chess Federation will host both the Junior and Senior national chess championships in due course. I believe that in Guyana’s case, more persons are going to gravitate towards the unique cerebral game based on the work Stabroek News is doing to promote chess. My comment travels down the road of optimism: It’s a matter of time. President Granger understands chess. Pitifully, some others don’t. Granger knows the rewards that will, and can, accrue from immersing oneself in the ancient game. 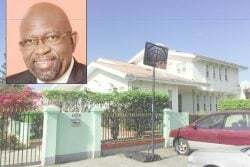 After all, he used to play competitively and was responsible for the disciplined forces traversing the game. 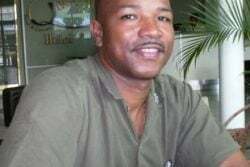 One soldier, Staff Sergeant John Macedo, represented Guyana at the 1980 Chess Olympiad in Malta. 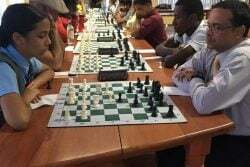 Today, the action continues at the National Aquatic Centre where Guyana’s finest chess players would be contesting the 2018 National Senior Qualifier Tourna-ment which began yesterday. Already senior players Loris Nathoo and Shiv Nandalall have indicated to me they will be participating. If Macedo is not out of the jurisdiction, he will also participate. The top eight finishers would contest the national chess championship later in the year. 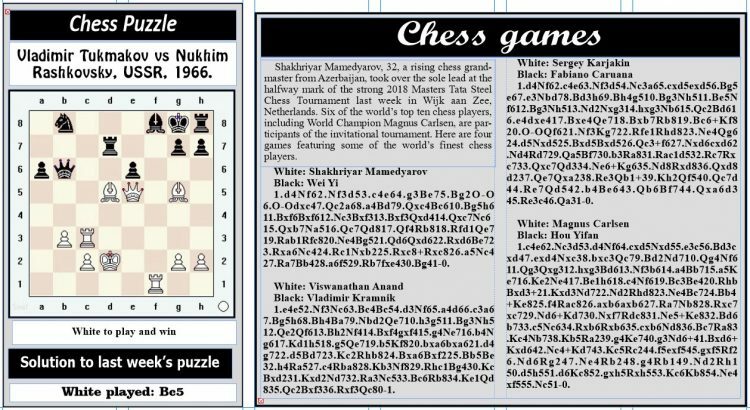 Internationally, the elite 13-round 2018 Tata Steel Chess Tournament concludes today in Wijk aan Zee, Netherlands. At the end of the 10th round, a three-way tie was re-established among Anish Giri, Magnus Carlsen and Shakhriyar Mamedyarov. The trio is followed by Vladimir Kramnik and Vishy Anand. For the remaining three games to be played, a notable game to watch is the Carlsen-Mamedyarov encounter.